It’s hot outside and you don’t want to heat up the kitchen just for dinner. Cookies or brownies? Maybe but not just dinner. The Instant Pot and Crock Pot are my go to kitchen appliances that make dinner easy and keep the house cool. 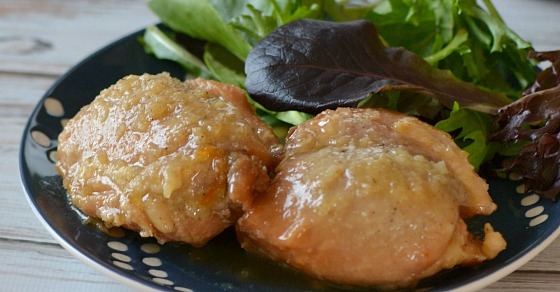 Whether you are an Instant Pot pro or a newbie you will love this quick prep Instant Pot Garlic Orange Chicken. There are so many buttons on the Instant Pot! But there are three that help you cook amazing electric pressure cooker meals consistently. The Saute feature on the Instant Pot is the reason my Crock Pot collects dust most of the time. I always hated having to brown my meat in a separate pan then cook it. Who wants extra dishes?! You don’t have time for that. The Saute button does more than brown meat. You can also use the Saute button to simply heat up your Instant Pot so that your meal will come to pressure faster. All you have to do is turn the Saute button on while prepping and dumping ingredients into the pot. Want to make a gravy after cooking your meat? After you remove your meat use the Saute button to bring your sauce to boil and add your thickener. Yes, the Instant Pot comes with very cool pre-programmed buttons like meat and beans. But you don’t need them. Don’t fear the manual button! 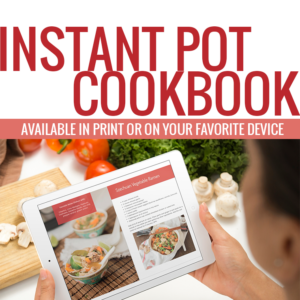 It gives you complete control over setting the cooking time for your favorite Instant Pot recipes. The preset yogurt button is the one exception to always using the manual button. The Instant Pot really streamlines the yogurt making process with this gem of a preset button. Pour water, marmalade, garlic powder, dried minced onion, soy sauce, salt and pepper into Instant Pot. Layer chicken in sauce and stir until pieces all pieces are coated. Cook for 13 minutes High Pressure and allow 5 minutes of Natural Pressure Release. Leftovers are yummy as a wrap or on a salad. Garlic Orange Chicken is a quick and easy instant pot recipe that is a great addition to your weekly meal plan. Looking for more Easy Instant Pot Recipes? Jennifer blogs about time-saving dinner solutions and easy meal planning at Simple Hacks Living. She believes that time doesn't have to keep you from making amazing meals for the people you love.